Q: Could you provide our readers with a brief introduction to Split? A: To understand Split, you need to understand three key trends in the industry: the necessary increase in engineering velocity in organizations; that with speed comes the need for safety; and the drive to constantly add value. Split was born out of the need to address these three forces. 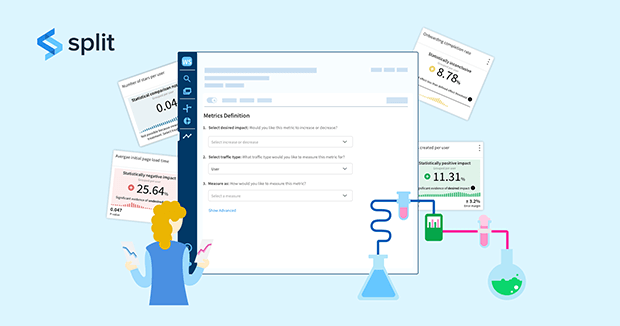 Split is a product decisions platform that combines feature flags and experimentation capabilities to safely enable continuous delivery while also measuring the value of product updates. Feature flags separate releases into smaller bits to control exposure or increase at a measured rate to limit the availability to defined customer segments. This allows the blast radius to be smaller and more controlled. Experimentation is the measurement tied to each feature flag that enables organizations to track the exact impact of an update or new feature, and understand its business value. There is a rich history of the most innovative companies – think Amazon, LinkedIn, Facebook – building in-house product decisions platforms and proving the value that they bring. Split commoditizes these capabilities to power better product decisions for all organizations. 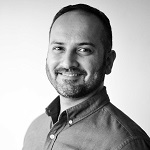 Q: You’ve recently announced that GoodRx has selected Split to accelerate feature iteration and support sophisticated product experimentation; could you tell us something more? A: GoodRx is solving a huge problem in the US today – the high cost of prescription drugs. To tackle this issue, they created a real-time market intelligence platform to gather retail prices and coupons for every FDA-approved medication at more than 70,000 pharmacies. Its customer base has grown to more than 10 million users per month and provides savings of up to 80 percent. They used an in-house solution for feature flagging that required full deploy of the site for every phased rollout, taking resources away from delivering customer value. As the platform continued to scale, this became more of a burden and less sustainable from a resources and expertise stand point. The GoodRx team turned to Split for sophisticated user segmentation, changing treatment rules and initiating feature kills within 60 seconds, all without having to re-deploy the desktop or mobile app. The team also uses impressions data captured by Split to provide insights on the business impact of feature changes. As the GoodRx team continues to realize the benefits of feature flags, they are increasingly gating features behind a split and plan to incrementally test and deploy smaller pieces of multi-faceted features. Q: Why Split? What makes you the best choice? A: We are often compared to three different types of solutions – homegrown, A/B testing tools for marketing teams, and simple point solutions. Almost all companies have some version of a homegrown solution, which is fuelled by DIY ambition and requires a large and continued investment. Often these solutions stop at basic feature flag enablement and rarely does the investment ever move on to measurements because these teams typically don’t know how to build the measurement part. Marketing tools provide marketing teams with A/B testing capabilities but, like it says on the box, they are built for marketing. These tools are not built for dynamic product and engineering teams, so they are missing many of the bells and whistles needed to be successful. Finally, point solutions get you halfway there. There are some great feature flag solutions available, but we believe they are incomplete without measurement capabilities. Split provides development and engineering teams with a robust platform that was designed, and is constantly updated, specifically for their unique needs. It provides the capability to dial-up new releases in a controlled way and measure the full impact to the customer experience and to the business. Q: What are feature flags? A: Feature flags let organizations break the tyranny of the Thursday night release. Feature flags break the release into smaller bits, control exposure and enable a continuous release motion, instead of working in a panic for the scheduled Thursday release every week. Think of flags like dials in the cloud. You can take the dial and attach it to any feature in your product – a new one or an old one – and control who sees it, who has access to it and how quickly it is rolled out to a entire customer base. Feature flags also provide the ability to completely turn off features as well, which increases application stability and totally removes the need for hotfixes. It’s no longer necessary to assemble a war room if there is a problem, simply turn off the feature in a matter of seconds. As examples, this functionality would have been useful to Instagram recently, which claimed its horizontal change to Story was a failed experiment, or to Apple, which experienced a bug in its FaceTime application. Q: What are some of the specific use cases or scenarios you can share regarding how consumers can leverage Split? A: The most common use case for Split is when an organization has a new feature to release, but they don’t want to roll it out to all customers because they first want to measure its impact. 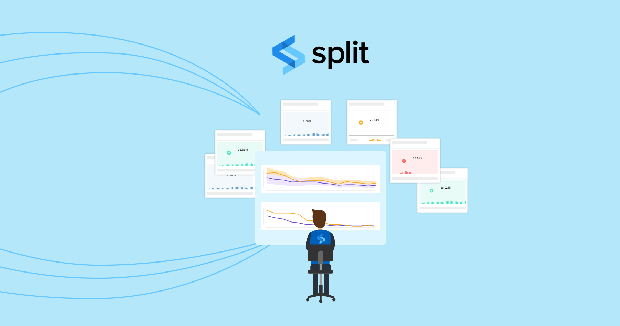 Split enables teams to roll out features in whatever stages they like, such as internally to employees, followed by beta customers, and then increasing the percentages of its customer base. The feedback and data provided by Split about the impact of this feature becomes paramount to business success. Some interesting examples from our customers include testing at what price point to offer free shipping, how to differentiate between fraudulent charges and a viral fundraising campaign, and managing high risk releases. Q: What can we expect from Split in the future? A: In the short term, we will continue to prioritize our own product updates. We want to increase the trust that engineering teams put in us and ensure the product can scale for use by bigger and bigger teams. We plan to continue creating a powerful data machine so that companies can examine any metrics that drive their business. As we plan for the longer term, one of our goals is to determine how qualitative data can be incorporated into the quantitative decision-making that we are already powering. How does anecdotal information get wrapped into Split and continue to disrupt the decision-making process? This is a question we are already thinking about.